Professor Eustace feels like he's getting too old to push around a lawn mower... but he still knows how to use a screw driver! 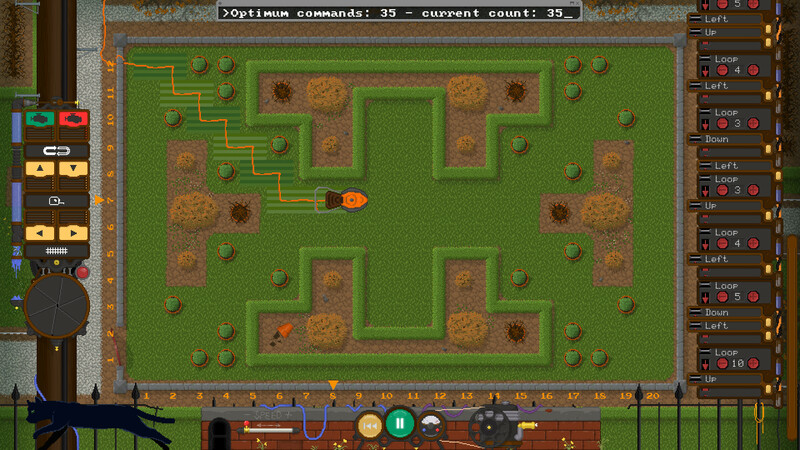 Armed with his tool box and decades of engineering experience the professor sets about automating his horticultural machinery. 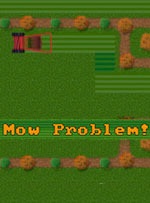 Mow Problem features a familiar block programming style interface used to guide a variety of garden shearers and electric mowers around a series of intricate lawns. 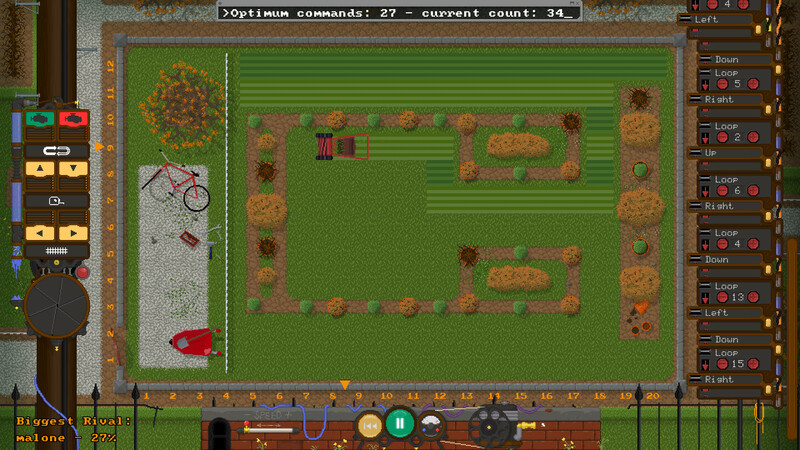 Compete with other player's leaderboard scores to create the most efficient mowing programs, unlock the seasons throughout the year... and maybe even find a secret hidden in the shed or two! 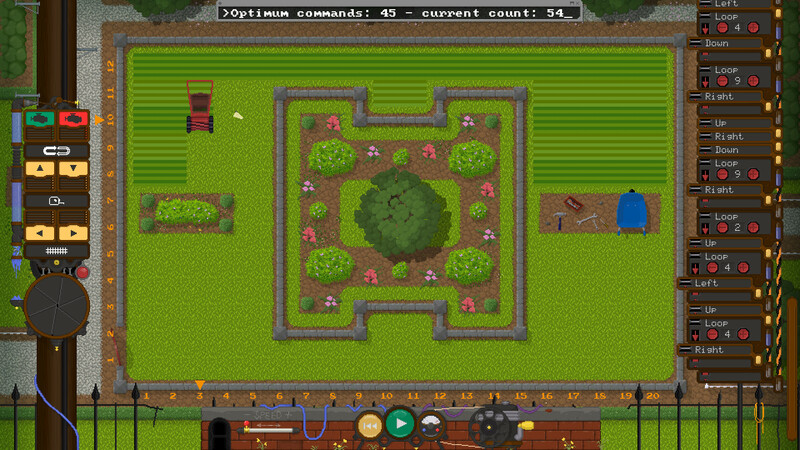 Mow Problem will challenge your thought and programming skills while soothing music and gentle sound effects immerse you in a series of country gardens. 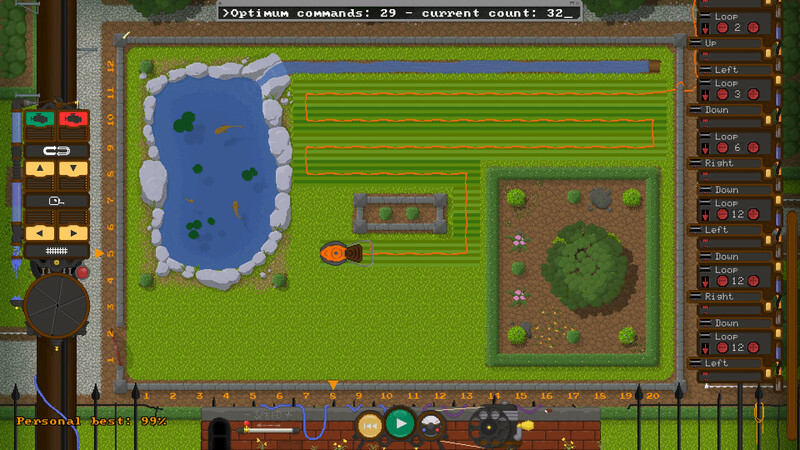 Completing all the lawns will unlock the built in lawn editor, so you can see how many of your friends can master your mower! 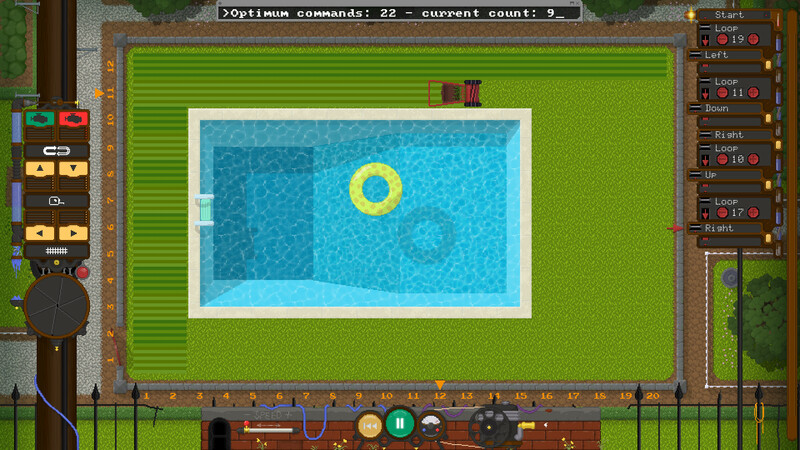 Extra modes will also become available such as Time Attack, or Rainbow mode, each with their own set of leaderboards.